The State Water Board has adopted the proposed updates to the Cannabis Cultivation General Order and the Cannabis Cultivation Policy - Principles and Guidelines for Cannabis Cultivation. The State and Regional Water Quality Control Boards (SWRCB), The California Department of Fish and Wildlife (CDFW), and the California Department of Food and Agriculture (CDFA) are hosting several cannabis permitting workshops in May and June. These free workshops are ideal for new and existing cannabis cultivators, and those interested in the topic. Attendees will have time to talk with state agency staff about individual projects after the presentations. See FLIER for additional details including event dates and locations. The Cannabis Cultivation Waste Discharge Regulatory Program addresses water quality impacts from cannabis cultivation and associated activities on private property throughout the Lahontan Region and the Colorado River Basin in Eastern California. The Program focuses on Compliance Assurance/Compliance Assistance, and Education and Outreach. In October 2017, the State Water Board adopted requirements for cannabis cultivation to reduce impacts from discharges of waste and water diversions associated with cannabis cultivation activities. Cannabis cultivation can cause significant environmental damage, including discharges of polluted wastes to surface water and groundwater, erosion and sedimentation of surface water bodies, and illegal diversions of surface water. The program is designed to meet the requirements of the Lahontan Basin Plan and the Colorado River Basin Plan, the California Water Code, and the Clean Water Act. The Water Boards are the principal state agencies with primary responsibility for the coordination and control of water quality. Cannabis cultivation can contribute to nonpoint source (NPS) pollution, which is the leading cause of water quality degradation throughout California. Many streams in the Lahontan Region and the Colorado River Basin Region are impacted by excess sediment, nutrients and elevated temperatures; and illegal surface water diversions intensify these water quality impacts. Subscribe to our other email lists. 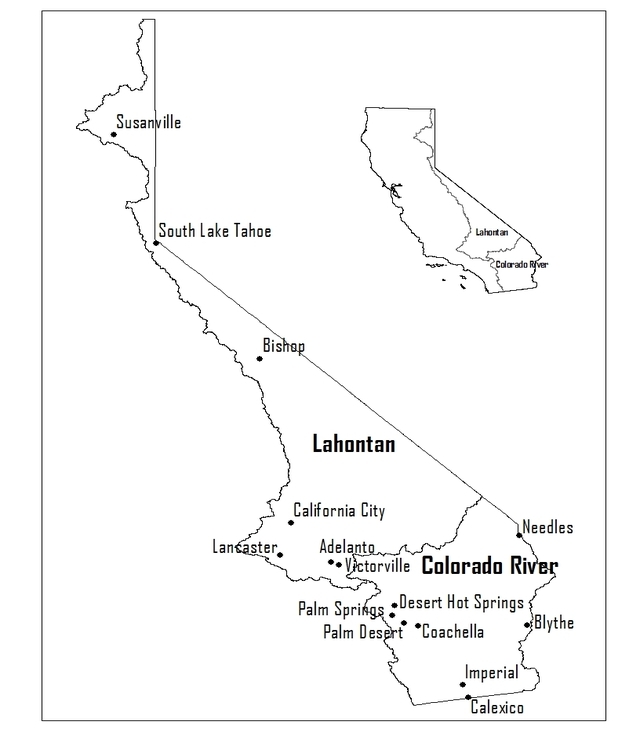 See the "Region 6 Lahontan" section.